After being a part of a very successful and well known endodontic group practice in San Jose, California for 14 years, Dr. McKee, with his family, decided to make the change that he has thought about for many years and return to Colorado. Although a very hard decision, Dr. McKee is very happy to be back enjoying the Colorado lifestyle where his dental career began at the University of Colorado School of Dentistry graduating in 1991, after completing his undergraduate work in Biology at New Mexico State University in 1987. While at the University of Colorado, Dr. McKee was honored to receive the Dr. Kenneth Grove Memorial Award of the Dental Foundation of Colorado for outstanding restorative dentistry. After one year of private practice in Aurora, Colorado, Dr. McKee decided to join the U.S. Army, with an assignment in Darmstadt, Germany, for 3 years. Upon leaving the military, Dr. McKee was awarded the Army Commendation Medal for meritorious service. Dr. McKee has 24 years of experience in dentistry with 20 of those years involved in the specialty of endodontics. 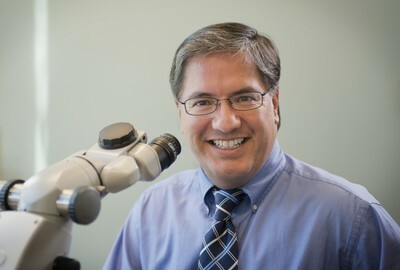 Dr. McKee’s endodontic residency was completed at the University of Pennsylvania in 1997 under the guidance of Dr. Syngcuk Kim, known worldwide for his advancements in endodontic microscopy, pulpal biology, and microcirculation. In those 20 years, Dr. McKee has performed thousands of endodontic procedures, gaining valuable experience in diagnosis, prognosis, and treatment. Dr. McKee values his ability to work with a variety of restorative dentists and treat more then just an individual tooth. A great working relationship is an invaluable service to the referring dentists and to the patient. Dr. McKee’s practice philosophy is to make his patients feel at ease and offer comfortable care in a professional environment. We want our patients to understand the treatment performed and just as importantly, the necessity of follow up treatment to be performed with their own restorative dentist. Dr. McKee is delighted to be back in Colorado with his family. In his free time, he enjoys gardening as well as hiking and skiing in the Rockies. Dr. McKee named 2019, 2018, 2017, 2016, 2015, 2014 Top Dentist by 5280 Magazine! Dr. McKee is honored to be a 2019, 2018, 2017, 2016, 2015, 2014 USA Top Dentist!